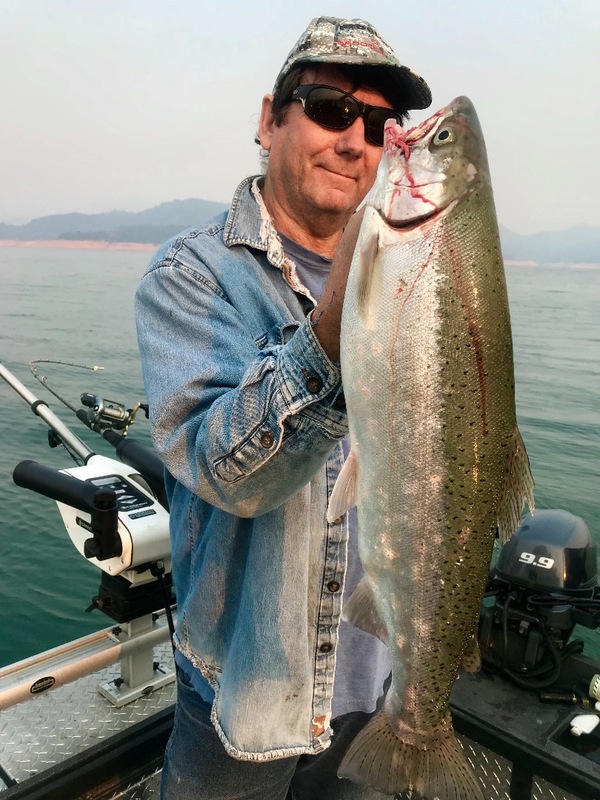 Still doing what we do on Shasta Lake! 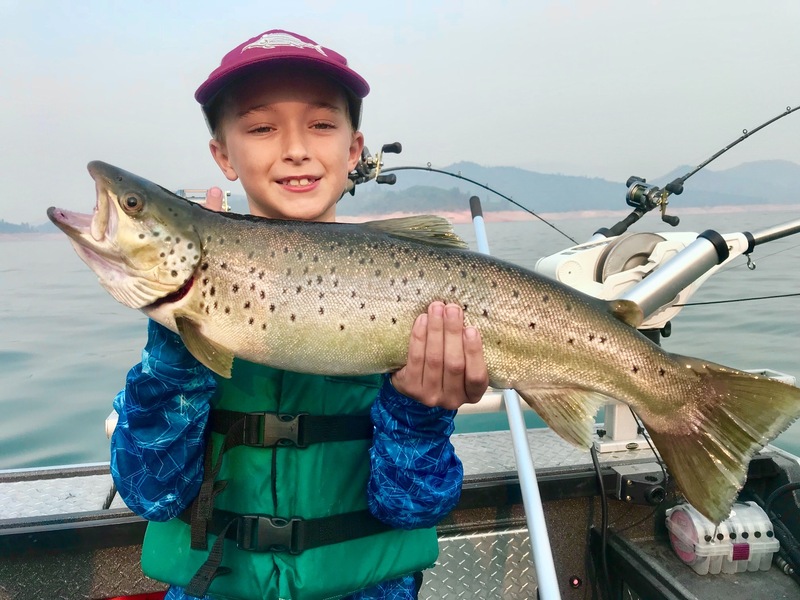 We're still catching some nice Shasta Lake browns! 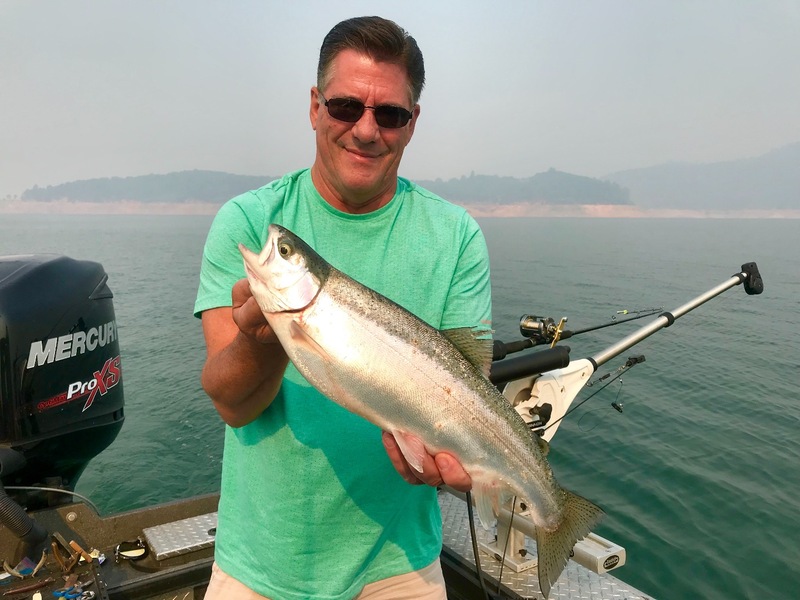 We fished Shasta Lake the past few days and we've seen some really good fish coming to the net. 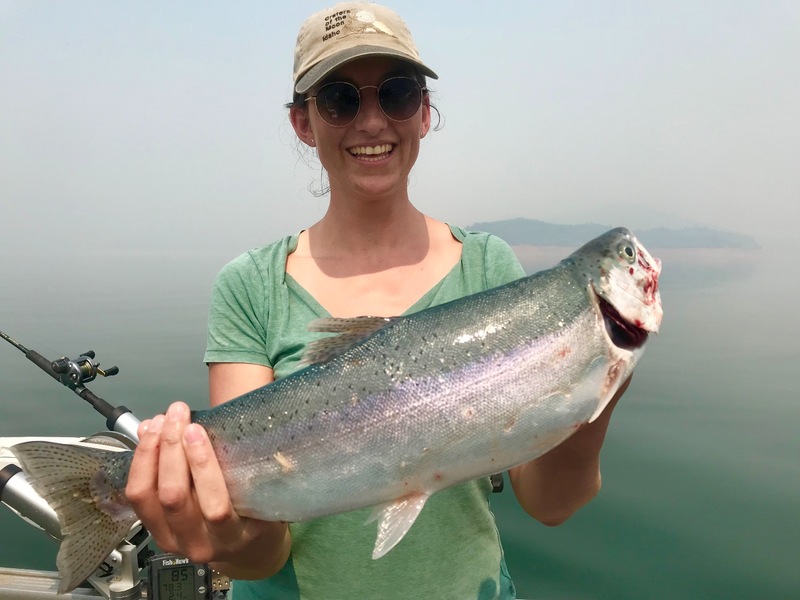 Yesterday we fished all day, today we were limited in a few hours. The smoke is still around, but its getting better overall. 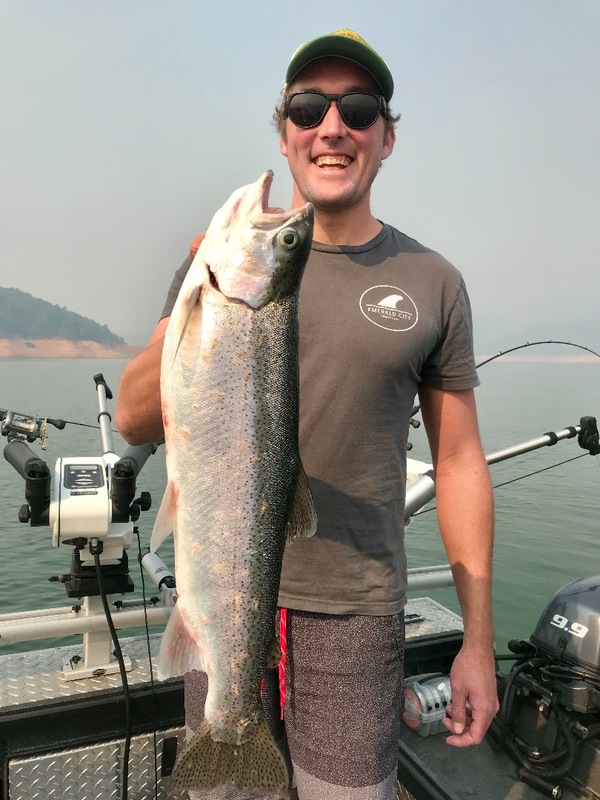 Call soon to get in on this great fishing, I only have a handful of days available now for the month of September. 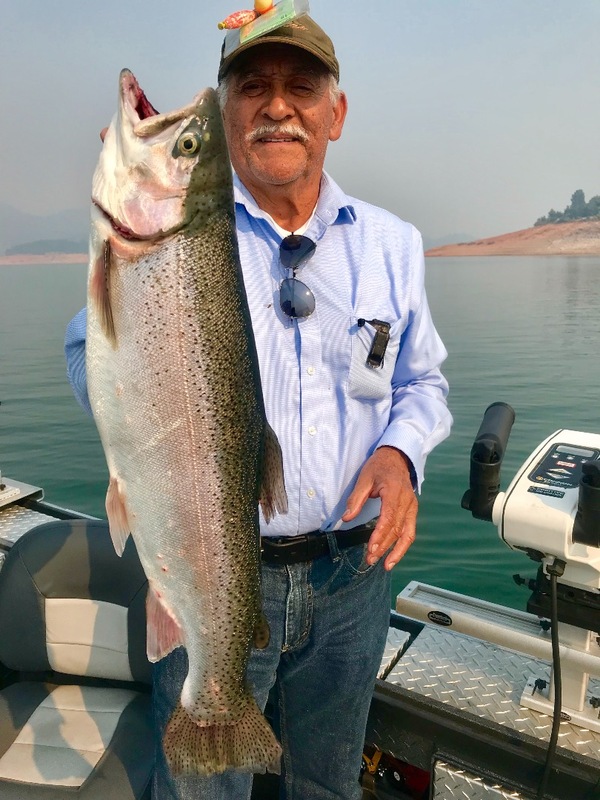 Still getting some great days on Shasta Lake! 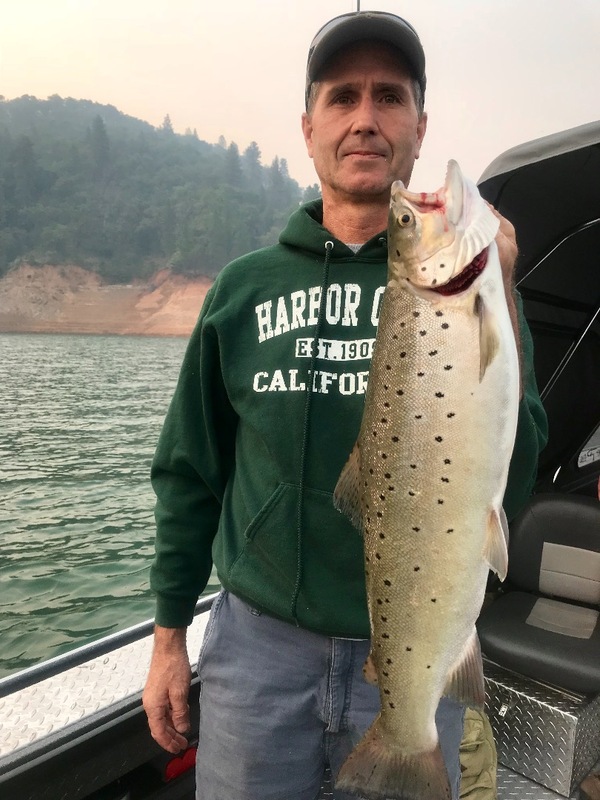 Shasta Lake trout sleeping in!